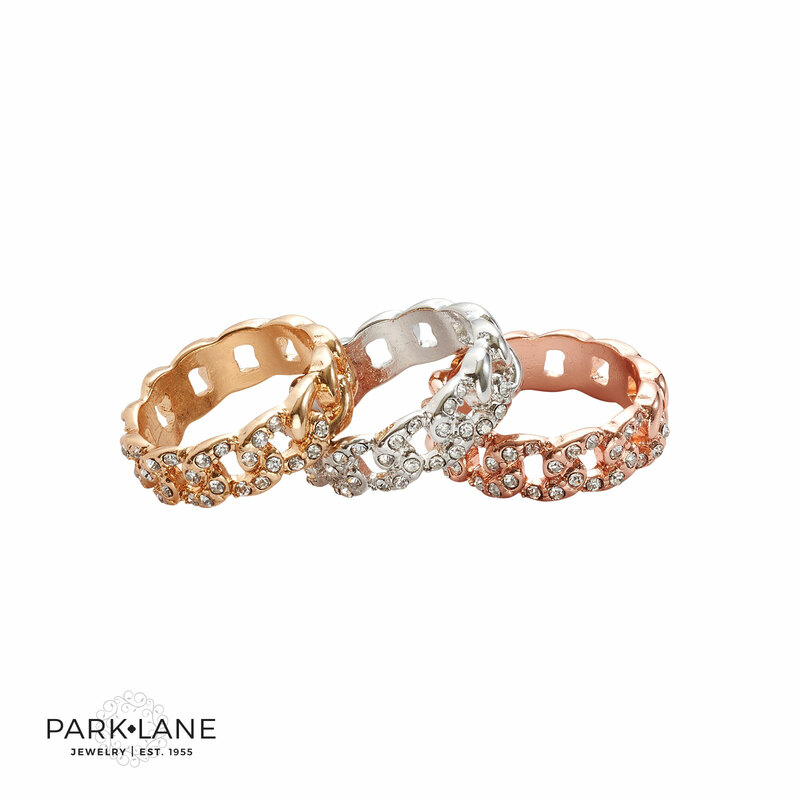 Wear one, two or three rings at once! 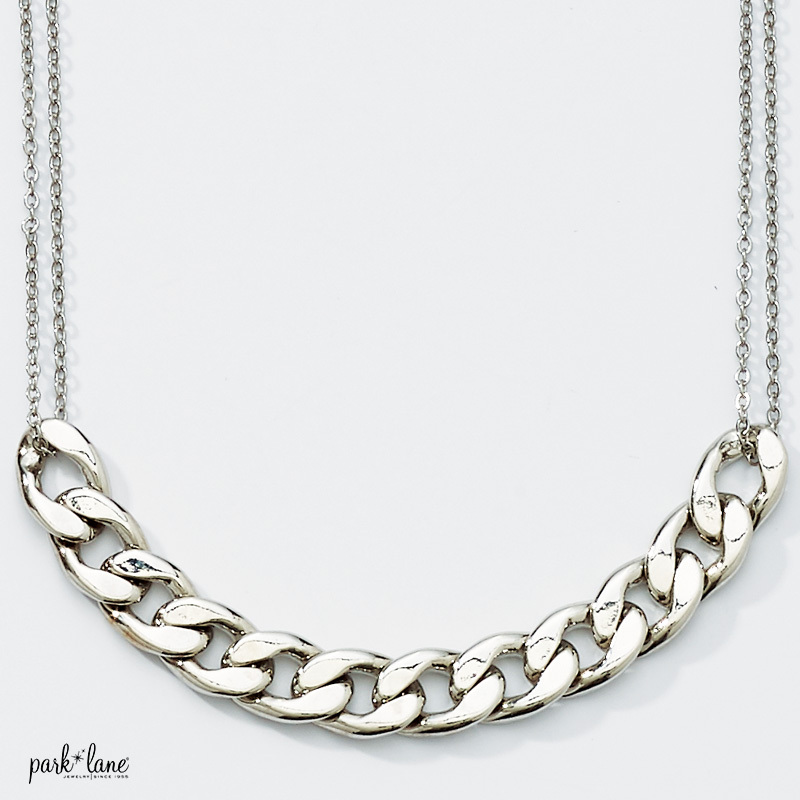 Gold, rose gold and silver chain links are encrusted with micro crystals in this 3-piece set. 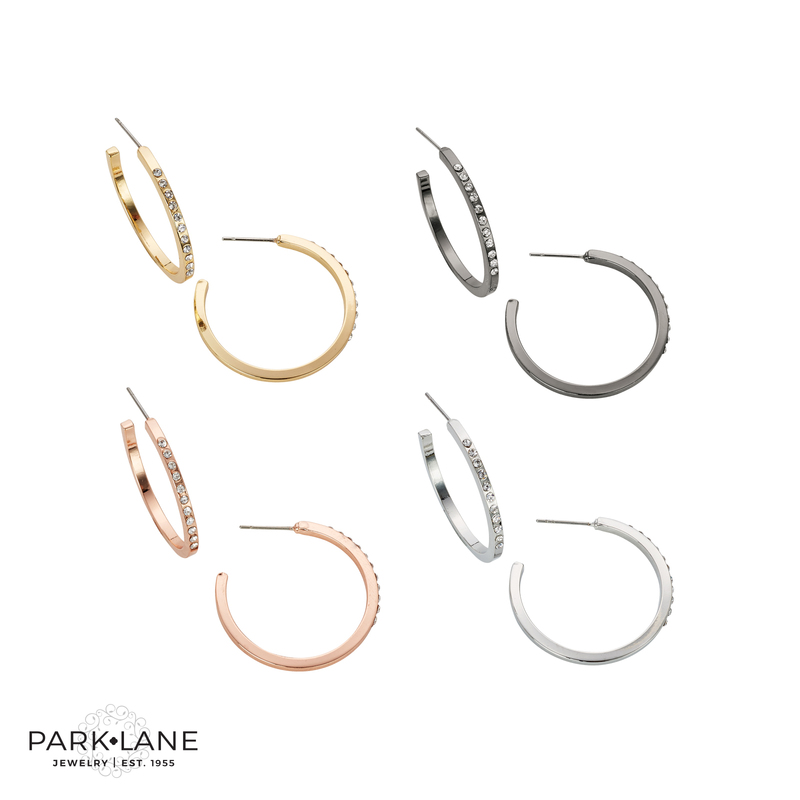 Coordinates with Park Lane’s Kohrs necklace and bracelets.